The brief was to show to Mayacamas mountains, and include San Francisco in the map. 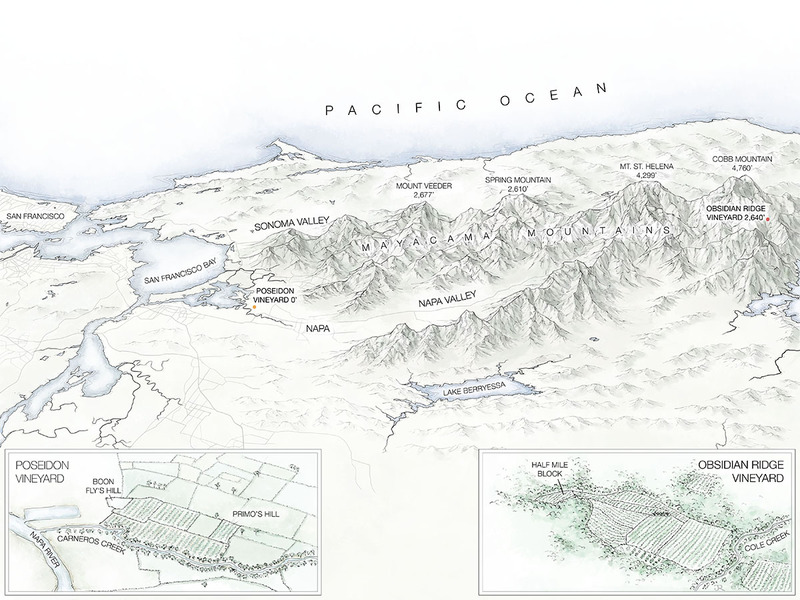 The map should be an illustrative overview of the mountain range, and have both the Poseidon Vineyard (by the sea, near San Francisco Bay) and Obsidian Ridge Vineyard. This is a healthy distance of 104 miles as the car drives. The map needed to highlight the elevation differences between the vineyards, and make the mountains the hero of the piece. Finally, the map should work in a brochure, as a mural, and as an interactive map on the website, and ideally show the different wine appellations. I liked this view as it brought the mountains across the page, allowing their line to fill the piece, and highlighting the closer vineyard. The perspective placed San Francisco in the background, and the triangular space provided by the Pacific Ocean gave some room that could be used for the vineyard detail callouts. This was my favourite of four different very quick thumbnail sketches of the layout. In reality, I should have started at this level of detail to begin with. This was the favourite layout, as we get San Francisco back in, and the Mayacamas are clearly the star of the show. At this stage, realism has been left behind, as the mountains are clearly far too large for the horizontal distance. The challenge in taking this layout and creating a final map was to tone down the ‘fantastical’ nature of the mountains and have it blend into a coherent map of California. And that was that! The second half of the project was to create the interactive for the website. This was done with a minimum of fuss, and a fair amount of jquery. You can see the finished interactive live on the TWP website. 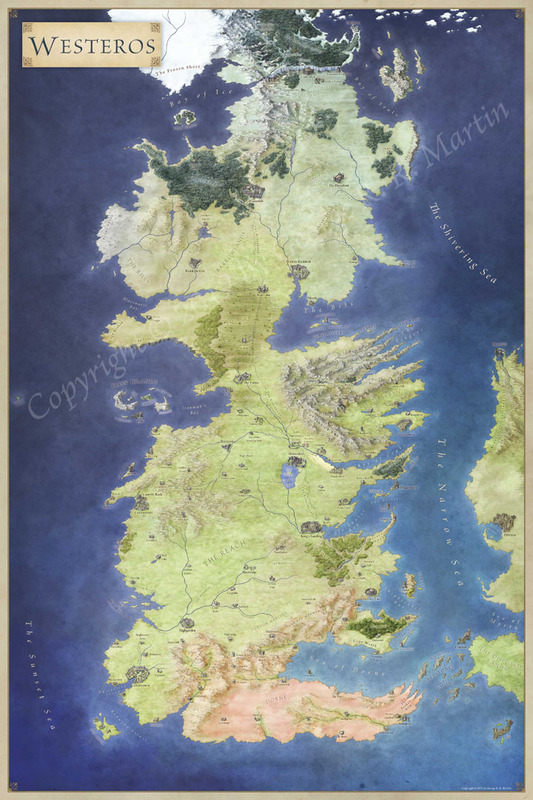 I would love to know how you would use a topographical map to make a map in this style. I have been struggling with one I had in mind for a year or so now. Great work. Do you have a link to the current state? 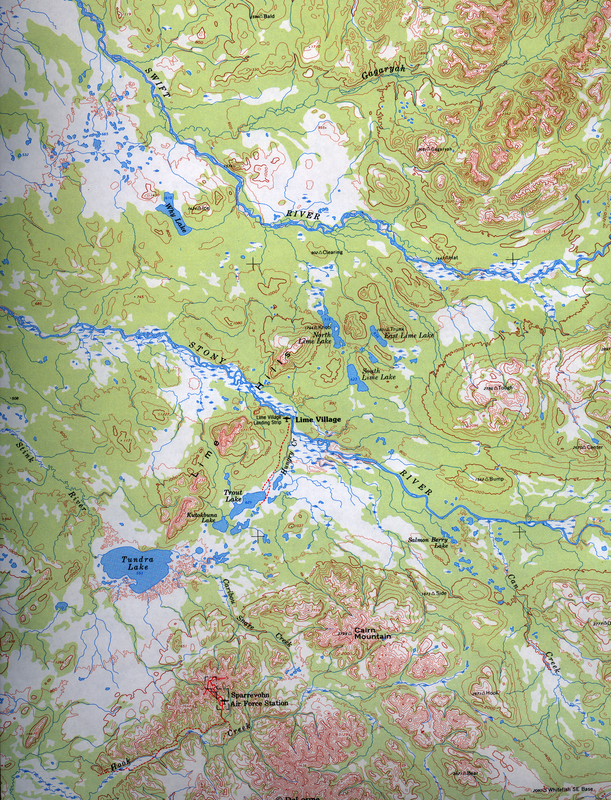 This is the topo map I had been working with. All of my work is on scratch pads where I was testing ways to show height. None of them looked acceptable. The map you just posted has exactly the visual look I had been gunning for. 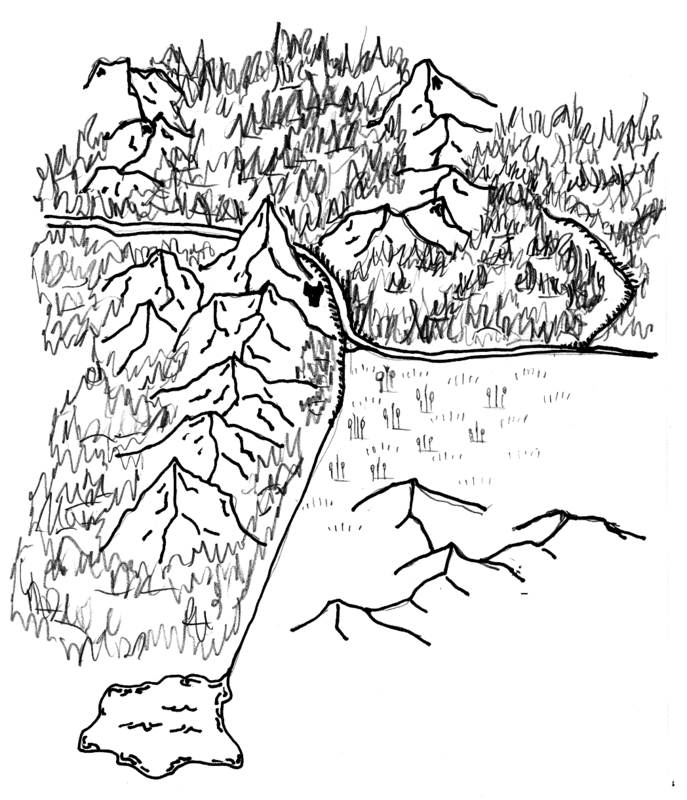 I tried your mountain tutorial, and I was fairly successful in drawing a random set of mountains based on the topo map, but they didn’t resemble it. This is a free hand isometric that I started when I gave up on trying to use the contour lines from the map. I tried to draw something simillar to this one, but as i painted i started to add new things and in the end got different result. Anyway, I put most of your technics into this. Its not perfect, but i see some progress so i thought i would post it. Thank you again for sharing your knowledge. This site is great database. Looks good! I’m glad it worked out so well.